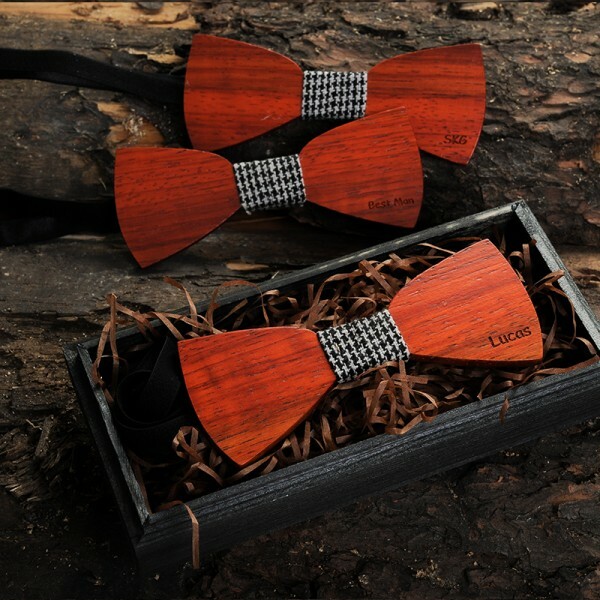 Groomsmen Wooden Bow Tie will be the perfect gifts for your groomsmen or best man-slight weight, comfortable, durable and stylish! 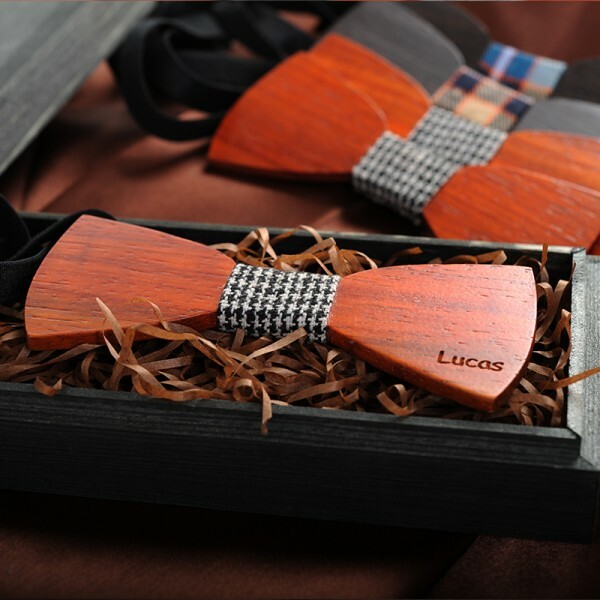 This tie will be customized on the personalization content you need and packed in an engraved wooden box, it will be a great gift set! 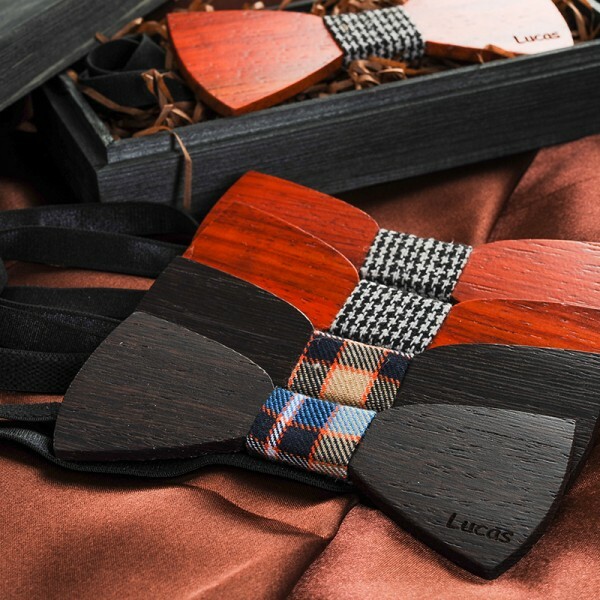 The strap is adjustable in length, one size fits all Size: 4.67” x 1.89” (118.5mm x 47.9mm) 1.69” (43mm) (the strap). 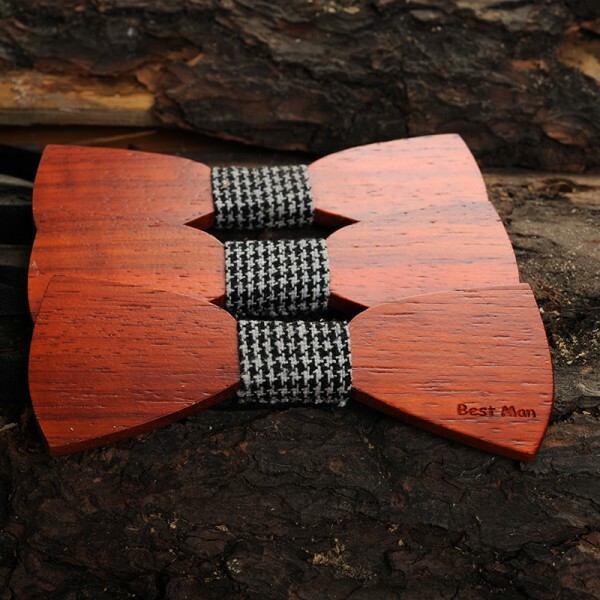 Question about Groomsmen Wooden Bow Tie is Successfully Submitted.